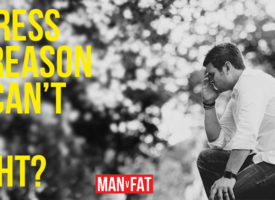 The question that MAN v FAT posed was Can a Boot Camp Solve Your Weight Problems? They asked me that question just six short weeks ago and after spending seven days at www.newyoubootcamp.com I can tell you that I have lost 16lb and 15 inches of total body measurements. For me it is a perfect boost for that initial weightloss; for anyone who struggles to say no to pizza and crisps; for anyone whose exercise regime is lifting heavy pasties to their mouth. I WAS that man. I don’t want to spoil the results of the experiment but I’d call that a massive success. Rewind back to the 24th of April and I was just stepping through the doors of Brinsop Court, unsure of what was ahead of me. I will not lie here – what was ahead was a tough inner journey of strength, stamina and willpower. Some days on that camp I hurt; some days I broke down mentally; some days I had physical symptoms of detox; some days I wanted to give up. It was hard. Check out a standard day’s agenda on the picture below. The idea was to exercise a group of willing participants for around thirteen hours a day (there were five hour-long breaks though) and give them just enough food to sustain their energy levels, whilst teaching them how to train well and eat well. The staff were excellent. Both the PTs, Staff and Staff (we weren’t allowed to call them by name) pushed you in the right direction and gave sound advice; the chef, Rose, cooked the amazing meals and gave talks on nutrition; the leader, Lisa, was on hand to give you anything you needed (apart from a Mars Bar); Amy, Lisa’s assistant, was joining in with the classes whilst training to be a leader and was a real boost to morale. 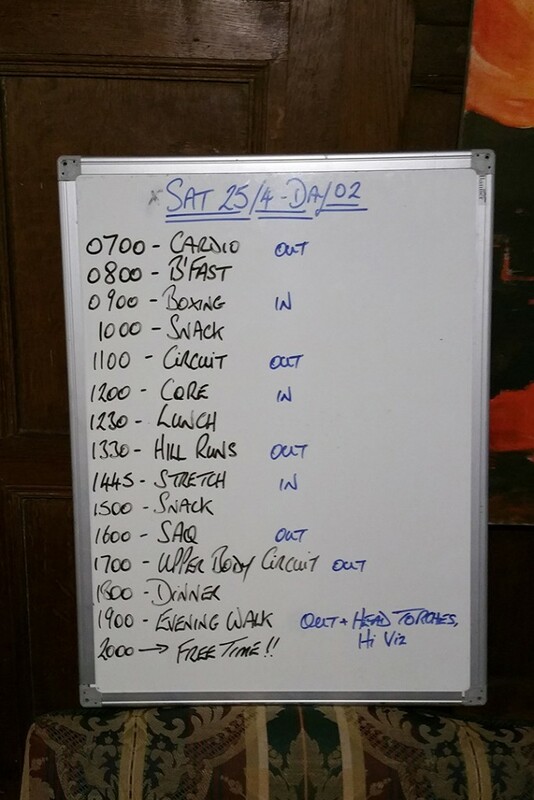 As for the reason we were there… there was plenty of exercise: boxercise, cardio and circuit runs, four hour walks, SAQ (Speed, Agility and Quickness), core exercises, Battle PT and stretching. There was more than enough to fill a day. Every morning started with an hour of cardio where we learned about shuttle runs and endurance running (I discovered I am an endomorph, meaning my body shape deems that I prefer short bursts of running). Only AFTER this hour could we then have our breakfast. We then spent the rest of the day exercising. It was a good mix of cardio, strength and agility with a bit of Pilates-style exercise later on in the week. They pushed you as far as YOU could go – there was no trying to keep up with the best because they’d just move the goal posts back a bit further. You just pushed yourself to the limit (and maybe a little further). 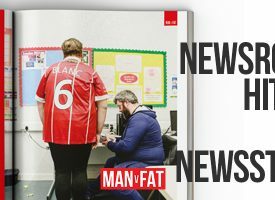 They could show you the ultimate technique to lose weight, but unless you ACTUALLY did it – applied yourself – it would never work. It’s all down to YOU. If you plod along, not really trying, then you’ll get nothing from this course. Now, if you came for the food, you may be a tad disappointed. What there is of it is lovely (the strawberries below were a final day treat – and we only had three! ), but there’s not a lot there. You have 1,500 calories a day. Each meal is the right balance of nutrients to get you through the next hour or so of exercise. Food is not meant to be pleasurable – it is meant to be functional. Fuel. That’s it. Treat yourself occasionally, but eat only to survive. That’s the message here. There’s no tea or coffee; just fruit teas and water. There’s no sugar, salt or dairy; just spices for flavour. I have to say that there was no joy as such at mealtimes; just refuelling. To be completely honest this is exactly what I needed… to be told that food is not the be-all-and-end-all of my life. The exercises for the day were posted the evening before so we never knew what we were doing until we were ready for bed (which was around 8-9pm)! We could have the joys of boxing, where we pummel pads and duck and weave for an hour. We might enjoy the Irish dancing in the Outdoor Circuit, where we have to jump over mini hurdles, weave round cones, hop through ladder holes and run Ziggy-zaggy style. There may be a nice four hour walk through forest, up hill and down vale. There could even be Battle PT where you find yourself running through the woods or up and downhill, in a team of people, with a stretcher, carrying tyres and logs whilst holding a 5kg weight as a weapon. It was certainly varied and it was as easy or as hard as you made it. I really pushed myself the first three days, but that may not have been a great thing. On the Tuesday I put my back out. This was very disappointing for me as I couldn’t join in with some of the exercises after that point. I did keep going though. When everyone was enjoying boxing, I walked. When they were doing core, I walked. I walked and walked (well, hobbled, really). I joined in where I could. I took cold, then hot baths. I laid flat on the floor. I didn’t stop. I didn’t quit. 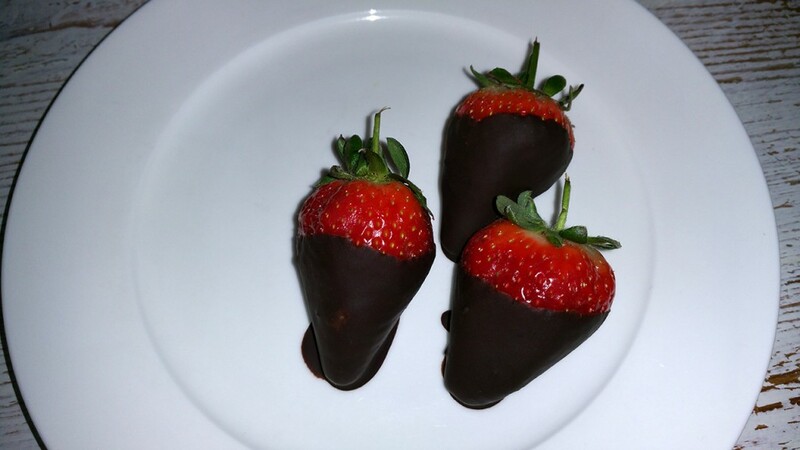 At the end of the week we were given a lovely last meal, including those dark chocolate-dipped strawberries which I will remember forever and given a final talk by the staff. They thanked us for our efforts and they commended us for being great students. We each had a chance to explain our highs and lows of the week. We toasted each other with fizzy lemon and ginger water. We patted ourselves on the back! It was a great week and it was spent with some wonderful people. There were six men in a group of 22 people, but each and every one of the members were lovely people, from all walks of life. We all helped each other get through the week. You build a bond with them and their faces stay with you as you move forward. So what has it changed for me? Well, I have a renewed view of food. I’m not afraid to be hungry anymore. I’m not afraid to miss a meal if I don’t think I need it. I can turn down bad food (this week, at work, there was two days where someone brought in Danish pastries, and I passed by without even a pang of regret). I also have a different view of exercise. I am no longer afraid of this, either. I bought some equipment to use at home; gloves and pads for boxing, skipping rope, weighted bar and weighted bag. I have everything I need to exercise at home. And exercise I shall. I also have a wife who will keep me motivated and Paddington Bear stare me out if I go near anything bad! What about you – well if I can get through this week, anyone can. I really mean that. I had the weakest willpower and the quittiest quit gene ever. 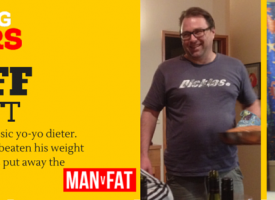 I made it – AND with the largest weight loss out of the whole 22 of us! It is a Boot Camp for ANYONE. 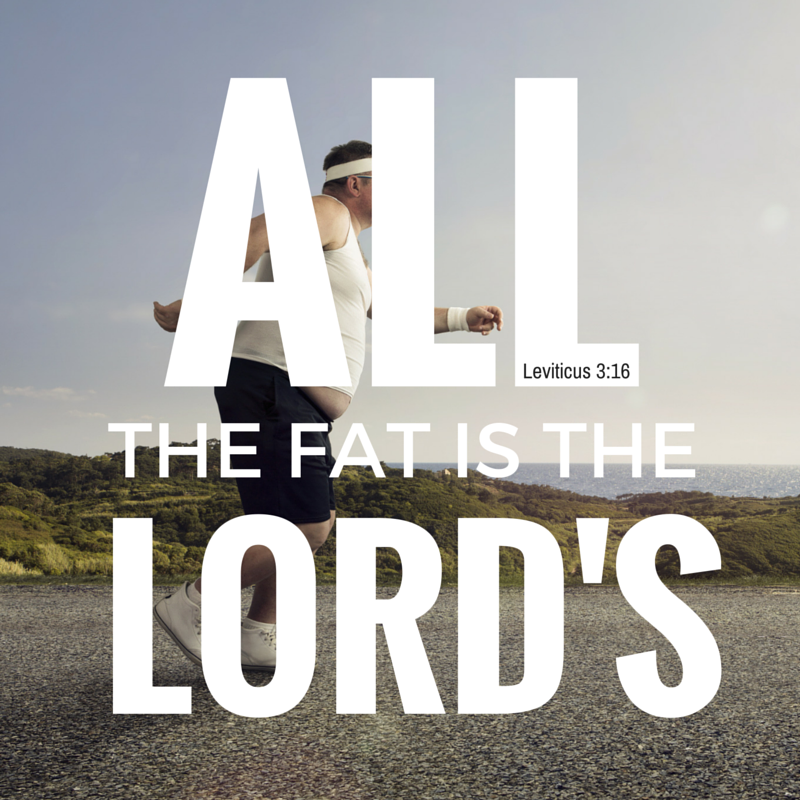 Men, women, fat, thin, quitters and winners. We go in feeling small and come out feeling prepared for ANYTHING. I’m not saying this isn’t going to continue being a tough journey, but I’ve proved to myself that I DO have the drive to achive what I want to achieve. 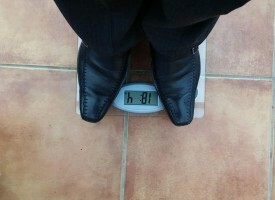 I CAN do this and it’s all thanks to New You Boot Camp, MAN v FAT… and ME! Now it’s your turn. 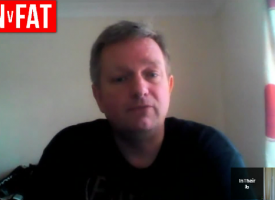 Go say hi to Garry over on Talk and tell him well done on #projectgarry. 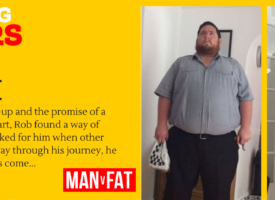 We also want to pass on our thanks to our friends over at New You Boot Camp for taking such good care of Garry and for not being afraid to prove that men really can lose weight on a bootcamp – it’s official! Read through your tale and so much of it resonates with me, maybe its not our fault at all its just that we have moved to Hampshire and it all went wrong. The boot camp thing is one of those dreams isn’t it? you watch biggest losers and other such shows and think well I could definitely do that, shame i’ve got work, kids and bills to pay. Anyway you don’t need a fool like me to tell you this, but, make sure you throw yourself at it and enjoy it and I will pester you all the time to see how its going. Good luck and do it for us! Too right, looking forward to seeing what happens. @acidomuso have you got your pre-camp plan yet? Not as yet, Shan. Still waiting. I did reply to Jacqui. I’m not expecting a miracle… i know that i will lose some weight but not the entire three stone i need to shift. What I AM hoping for is a mental boost - being shown that i CAN crack my addiction; that i CAN say no to food; that food is there to keep me alive and not my reason for living. It’s nice to know that someone has done it already - you’ll know exactly what i’m going through!